When is the last time you performed a backup on your WordPress website? When did you last scan for viruses and malware? How would your business be impacted if your website became infected with a virus or went down for several days or more before you discovered it? WordPress maintenance is usually a big chore, but it’s extremely important. Failure to perform routine maintenance could result in disaster! 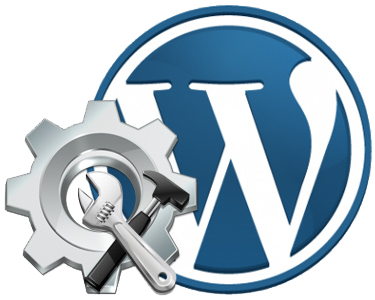 WordPress is by far the world’s most popular Content Management System. As such it often attracts viruses, malware and hackers. If you fail to properly maintain your site, such as — updating WordPress core files, plugins and themes, monitoring for malware and viruses, you run the risk of an attack. Our WordPress Maintenance service is for those that have a website, but don’t want the confusion or to spend precious time having to maintain it. Sign up for our WordPress Maintenance service and never have to worrying about keeping your website secure and up to date again. These subscription services are billed automatically each month or once every 6 months depending on selection above. Cancellations must be completed at least 5 days prior to next billing period to avoid automated billing. No refunds once service is performed. We’ll make sure your WordPress core files, themes and plugins are kept up to date on a monthly basis after backing up your website. WordPress core files, installed Themes and Plugins are regularly updated to add new features, to fix security issues that could leave your website vulnerable to hackers and viruses, and to correct software bugs affecting functionality. We will insure that all updates are tested and compatible with your currently installed version of WordPress and other major plugins. We perform off-site backups of your WordPress files and database on a daily basis. If disaster happens, we can restore your website to the time of the last backup. We store at least four complete sets of the daily backups off-site for added security. If disaster happens, we can fully restore your website and database to any of the four latest backups. We’ll keep your website secure using the top virus and malware scanning software. It is not uncommon for WordPress sites to become infected with viruses and malware. Along with being the single most popular website development platform on the globe, WordPress is a target for those that thrive on making life difficult for everyone else. We perform virus and malware scans throughout the month to insure your website remains free of any malicious infections. We build layers of security into your website to prevent any and all unauthorized and malicious entry. As the leading web development platform in the world, it is all too common for WordPress websites to be the target of hackers and their login bots. These hackers are bent on destruction and spreading their malicious viruses and/or malware, adware, and spyware. We will build security into your website and perform regular evaluations to insure correct file permissions, login limitations, and firewall protections. We will monitor the up-time “running” status of your website on a 24/7 basis. If your website or server goes down for whatever reason, our advanced monitoring software will alert us immediately and we’ll go to work to resolve your website issues or work with your hosting provider to get your site back up and running as soon as possible, day or night. We will make any “minor” website modifications that you need with current SEO subscription. Minor modifications include page text, pictures, menu changes, etc. For larger projects we can provide a discounted quote to complete all work you request.